Disclosure: I was compensated for this post by Cans Get You Cooking as part of the Mom It Forward Blogger Network. All opinions expressed are 100% my own. Some of the best meals I’ve made for family have been with canned food. I like to keep my pantry (aka “cantry”) well-stocked and will buy in bulk if something we use often is on sale. This way when an inspiration for a meal hits, I have the majority of ingredients on hand and can’t whip up a delicious and healthy meal for my family. With our recent move across the country, the only food items I could bring with us were the cans from our pantry! When we arrived at our new home, I replenished our pantry supply at the local Walmart Supercentre. I got some great deals on our favourite canned foods from Green Giant, Aylmer and Unico. Did you know that a University of California, Davis Study, found that many canned fruits and vegetables have equal, or more nutrients than their fresh or frozen counterparts? I guess I really didn’t think about it before, but it does make sense. Cans seal in flavour and freshness with the canning process occurring just hours after picking. Nutrients are locked in at their peak of ripeness making cans one of the best ways to get food from farm to table. 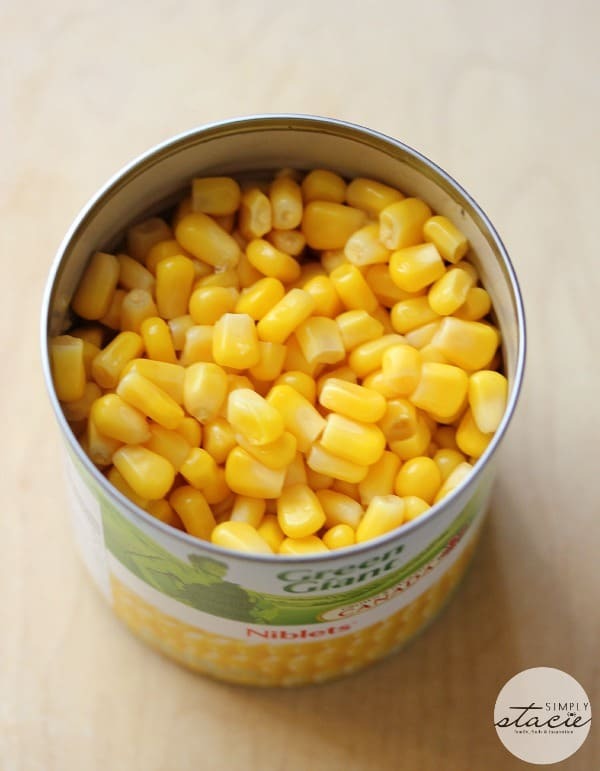 Many of the recipes I make have corn as an ingredient, but I also often heat up a can of corn on the stove for a simple, nutritious side dish with our meal. I always make sure to have several cans on hand for meals. I appreciate that there is less waste with canned foods. Too often I’ll buy fresh veggies (or fruit) only to have them go bad because I haven’t had a chance to make the recipe. I hate to waste money like that and I always know when I buy canned food, I’m getting more bang for my buck. My cans will be there tasty, fresh and waiting for me to use when I’m ready. 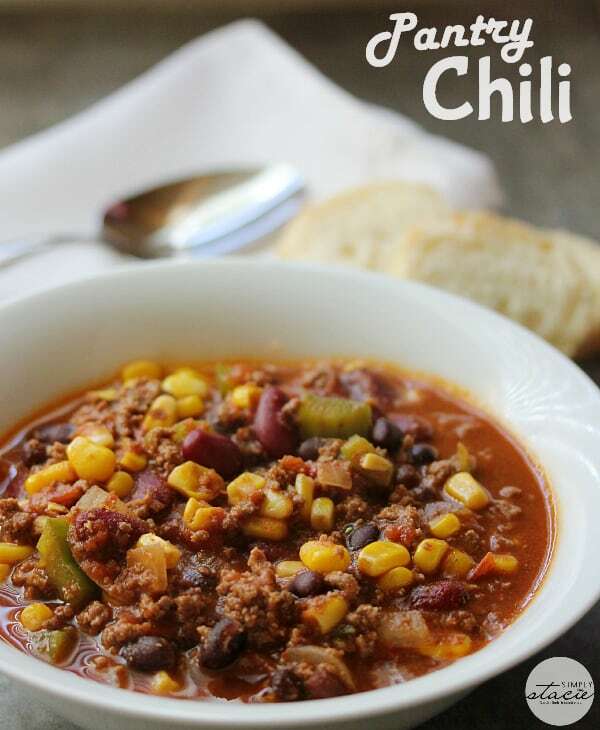 One of the best canned food recipes that I feed my family is what I like to call Pantry Chili. 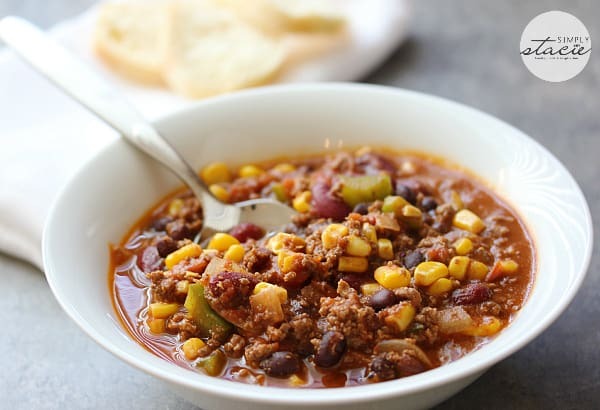 It’s a basic chili filled with whatever canned food you have in your pantry. You can add a variety of beans, legumes, vegetables, spices….anything goes! In my recipe, I used canned kidney beans, black beans, corn, diced tomatoes and tomato paste. Add meat if you like or keep it vegetarian. I can whip a batch of this hearty chili up in less than 40 minutes and there is barely any prep work involved. It’s healthy, delicious, but most of all, well-loved by my family. 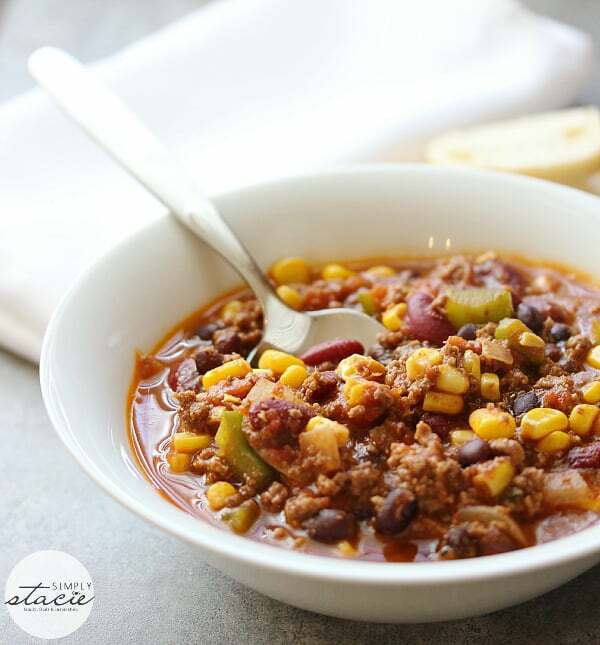 I bet that you have many of the ingredients you need right now in your pantry to make up a mean Pantry Chili like this one! This infographic gives some insight as what people are keeping in their “Cantry” (Cans + Pantry = Pantry). 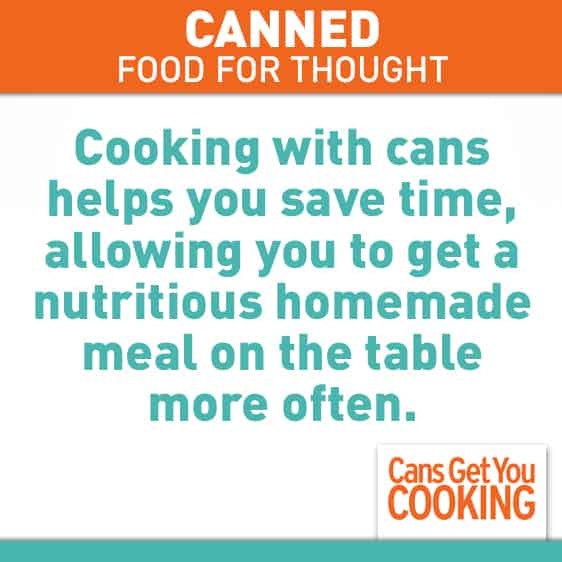 To learn more about cooking with cans make sure you visit the Cans Get You Cooking website. 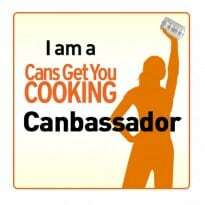 You’ll find recipes and videos from the Cans Make the Meal with Kelsey Nixon Special that aired on the Cooking Channel! What is your favourite canned food to use in recipes? Connect with Cans Get You Cooking on Facebook, Twitter, Pinterest and YouTube. Made mostly with stuff from your pantry! Heat the oil in a large pot on the stove over medium heat. Add in ground beef and cook for 2 to 3 minutes. Stir in onions, garlic and green pepper and continue cooking until beef is browned and onions and peppers are softened. Stir in chili powder, cumin, oregano and salt. Then add diced tomatoes (undrained), kidney beans, black beans, corn and tomato paste and stir together. Bring to a boil and then reduce heat to low. Cover and simmer for 30 minutes. Serve hot.